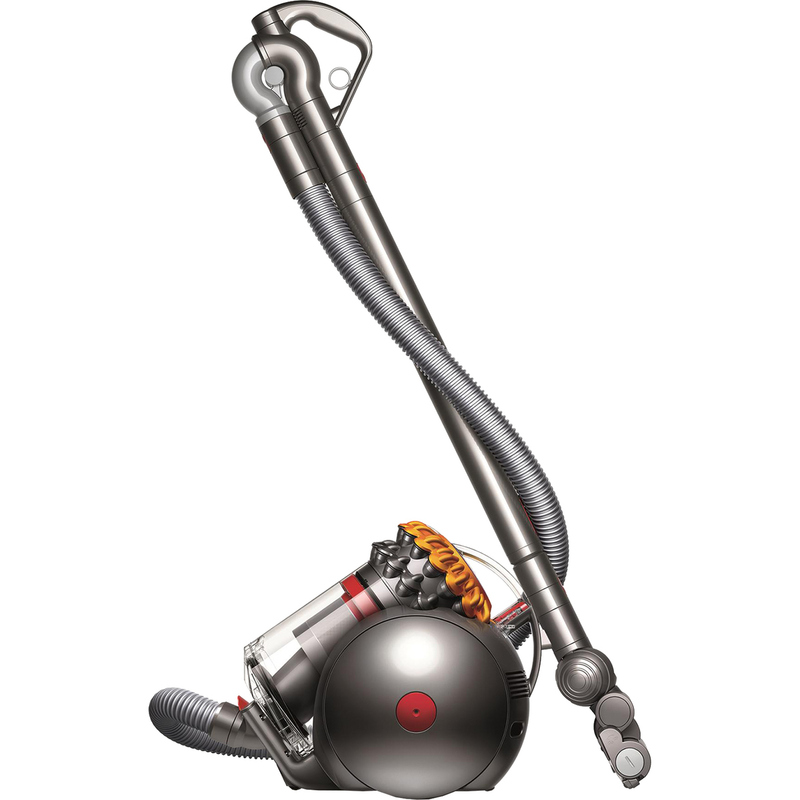 The Dyson Big Ball Multi floor Canister Vacuum has a Carbon Fiber Turbine Tool Removes Dirt from carpet and fine dust from the hard floor. It is the only vacuum that backs up when toppled. It has Hygienic bin emptying mechanism that drives out trapped dust and dirt, and it has large, high capacity bin.